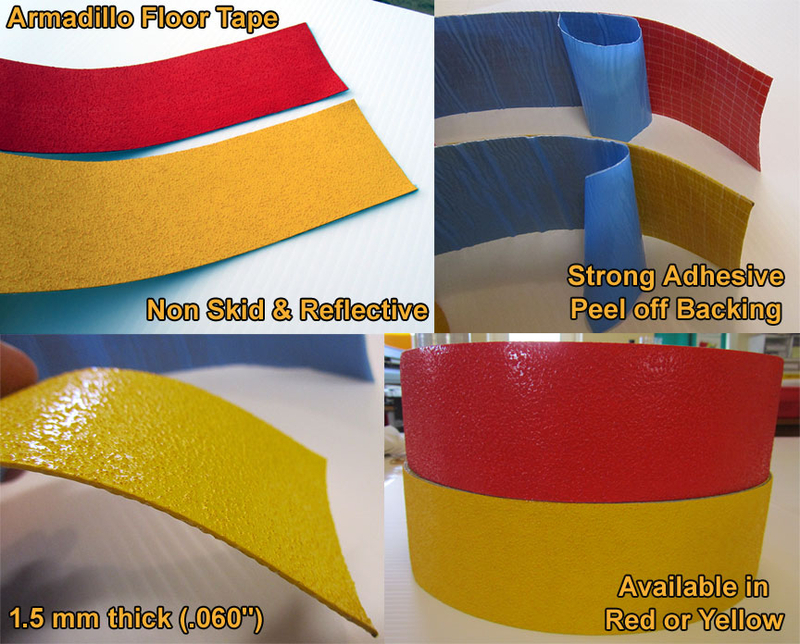 Our Yellow, Red, Green, Blue or White Armadillo Warehouse Floor Tape is designed to be tougher and longer lasting than any other floor tape currently on the market. 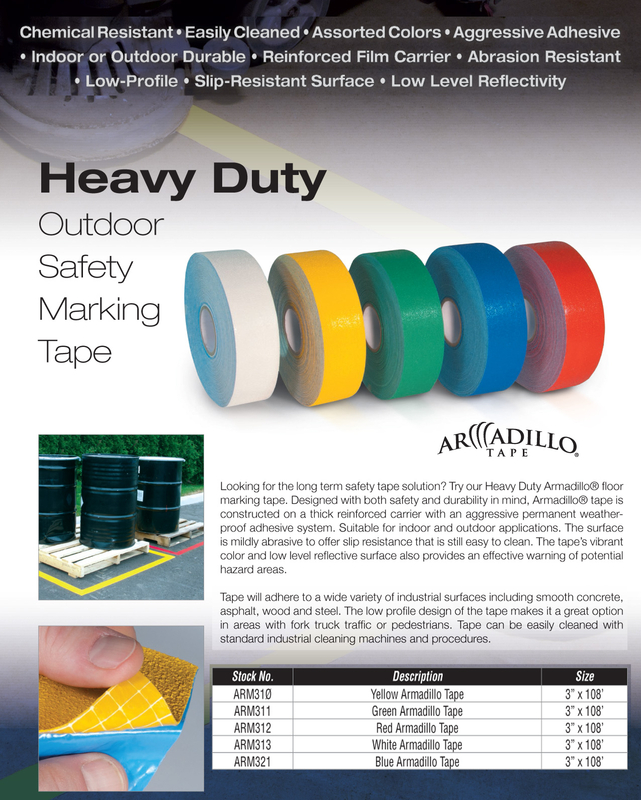 ($179.99 for a 3" x 108' roll) You can make your choice using the drop down menu above. 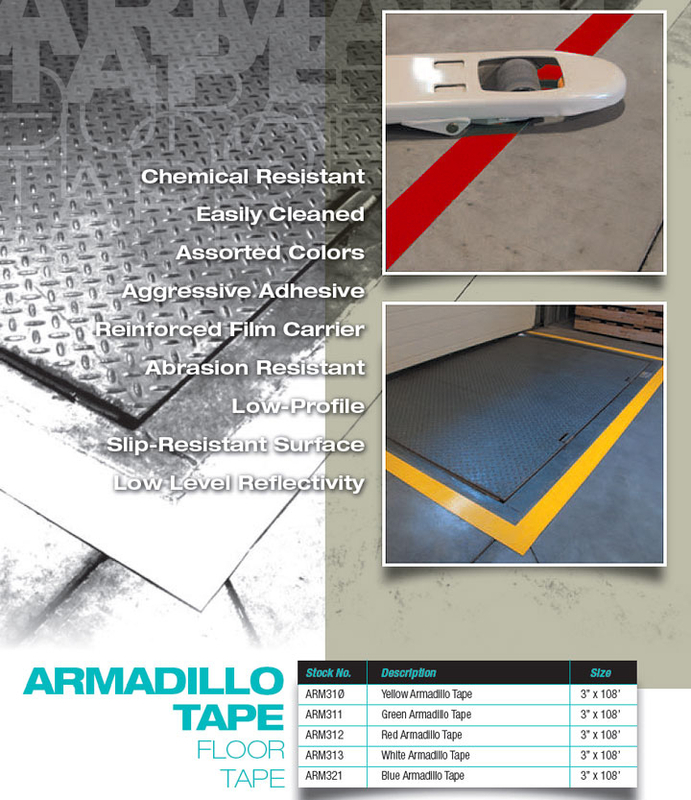 Armadillo tape is designed to work on a wide variety of smooth surfaces and will hold up to foot and forklift traffic. 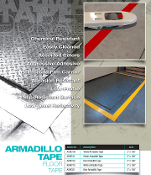 Armadillo Floor tape has both a non skid and low level reflective surface. The non skid mildly abrasive surface prevents slipping while the reflective beads built into the surface enhance night time visibility.